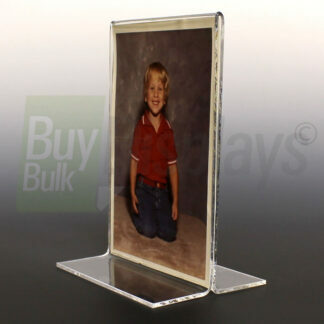 Economy slant back acrylic sign holders at wholesale. Our popular slanted frames are now available in an economy style. They are thinner than our premium slant back frames. 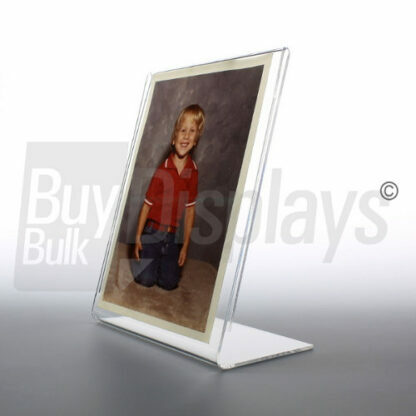 Frames are one-sided with a slanted viewing area. Commonly used in schools, hotels, motels, retail stores, lobby areas, hospitals, restaurants, and bars or anywhere you want to display your literature for viewing. Holds one advertising sheet. Can easily be changed as often as you want. Slant back frames load from the side.